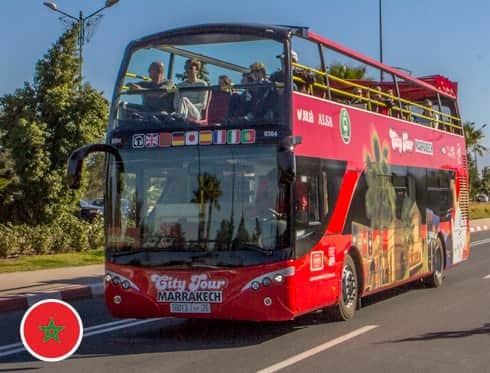 Get on and off the official tourist bus of Marrakech as often as you like in 48 hours and explore the many tourist attractions the city has to offer. Every bus has an automatic audio guide system in 8 languages providing information on each point of interest of the trip. This ticket is only valid for national citizens.